Creed Arena is a futuristic fast-paced 3D shooter that's extremely addictive and extremely entertaining. With four different game modes like Deathmatch or Survival and multiple Challenges to be completed solo, co-op, or online, Creed Arena has guaranteed replayability. I would like to thank Safari Studios for creating one of the best Indie Games on the market, and especially of the shooter genre. "ARE YOU NOT ENTERTAINED? Become a futuristic gladiator and impress the crowds with your skills. Feed off the spectator's cheers to unleash your CROWD RAGE! Switch between top-down and over-the-shoulder camera modes. Compete in unique challenges like Collect the Kegs, and Survival. Play the campaign in solo or co-op, or go online and fight your way up the popularity chart. Gladiator, I salute you!" 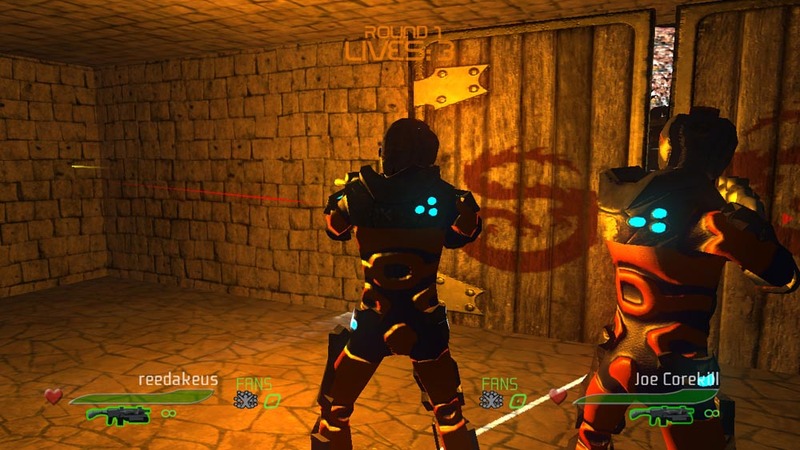 As far as plot-lines go, Creed Arena is somewhat lacking--basically you are one of the Wildcats, a team of gladiators that compete not with old-fashioned medieval weapons, but with futuristic rifles and guns. You are the essential hero in the story and the main character who has entered the Creed Arena tournament in an effort to gain the confidence and the heart of the people. You fight your way through the Challenges and eventually when you reach the top rank in any one of them you are crowned Champion. What it lacks in story this game makes up for in gameplay--there is so much chaos that can ensue during a match, especially a Keg Collection match with three teams of two, or a game where Rockets are the default weapon. This game also rewards those that do well (or steal kills) by unleashing the unique Crowd Rage function which makes a gladiator into a berserking juggernaut. With the Live Multiplayer function this game becomes infinitely replayable. Although the multiplayer isn't streamlined like a retail X360 title, it's still enjoyable and you can play as much as you'd like. Local Co-Op also offers a new edge in either competitive or co-operative Challenges, and it's much better to have an actual player on your team rather than the Bots. The graphics for this full 3D shooter are amazing for an Indie Game and are impressive even compared to some XBL Arcade Games. Fight on many well-made, graphically-enhanced maps and admire the meshes while you cut down your enemies. With 17 different maps and four different game types Creed Arena is vastly entertaining from start to finish--and really this game never ends, even after you climb to rank 1. 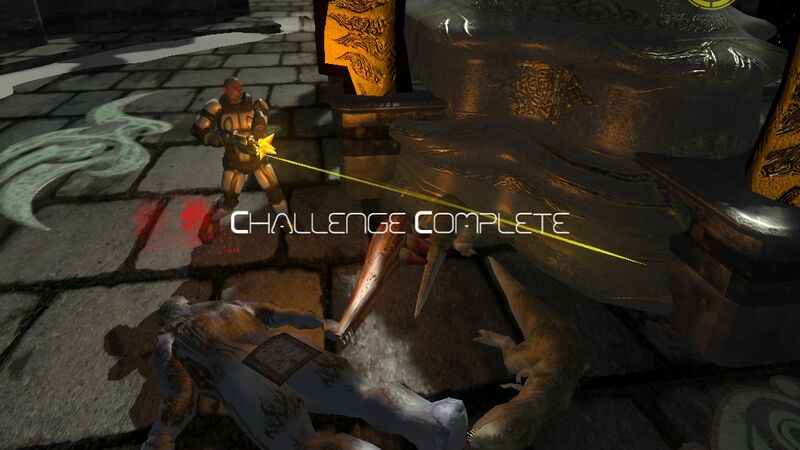 This traditional gladiator arena shooter has unique features such as an arsenal of impressive and dynamic weapons to use against your foes and an engrossing playing experience with Bots as teammates and enemies. I've always enjoyed shooter games where there were Bots because it allows people to practice and to actually learn the game without getting their asses handed to them from the start. The Bots in Creed Arena can be aggrevating sometimes, especially if your teammates shoot you in the back (yes there is friendly-fire for all co-operative gametypes). The Androids - These sentient cyborgs are deadly and accurate with most weapons--they are nearly unstoppable when they get ahold of the Rocket Launcher. The Wildcats - There will be some Challenges that require you to compete with a fellow teammate in order to win--during these games your fellow Wildcat can seemingly be more useful than he is during a co-op match. Kremlins - The Kremlins are Russians who are well versed in the art of slaughter, and the very last Challenge (Tomb of Karthus) involves a 3 on 3 deathmatch with these deadly adversaries. Death Knights - The Death Knights are total badasses--they are accurate and incredibly deadly with the Shotgun or Rocket Launcher...however they're not so good -against- Rockets. All weapons in this game have unlimited ammo, however single-shot weapons such as the Shotgun, Rocket Launcher, and secondary charge shot on the Pulse Cannon all have cooldown times. Assault Rifle - The default spawn rifle capable of devastating short-range attacks and long-range shots as well. fully automatic fire from two or even three teammates can overwhelm any enemy. Shotgun - The shotgun is the most powerful one-shot weapon other than the Rocket Launcher. It usually takes up to two shots to kill an enemy at moderate distance, but up close one-shots are lethal. It is rather useless for long-range shots, however. Lightning Gun - Very awkward at first, but once you understand how the weapon works it becomes quite powerful. Short-range only, accumulating shock damage per second. Plasma Cannon - This weapon is one of my personal favorites--it has two fire modes; a rapid-fire series of shots and a high-powered charge shot that kills in two hits. This gun is useful up close and far away, and the charged shot will launch across any level. Rocket Launcher - King of all guns, the Rocket Launcher has a slow cool-down rate but is capable of killing a group of enemies in one shot. Devastating close-range power as well as longe-range capabilties make this weapon the most desired frag earner out of them all. 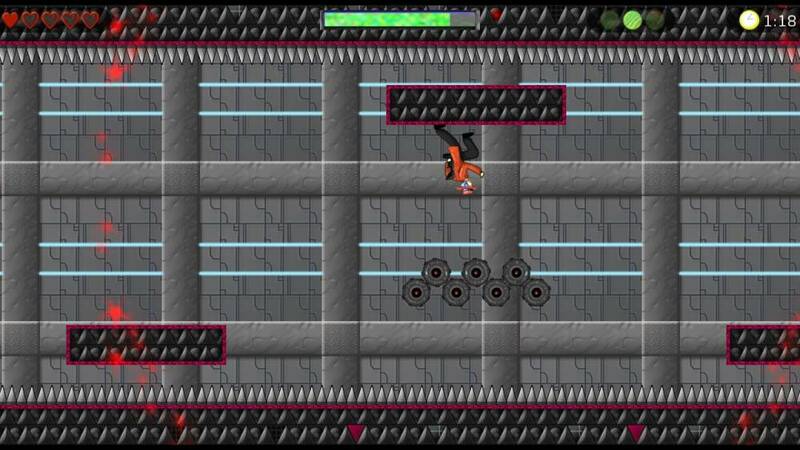 Outside of weapons there are no items or powerups to use--this game is your classic fragfest game similar to the Quake games minus the health and other drops. This game starts off with an announcer (presumably the Gladiator you play as under the Wildcats) pledging himself to win the Creed Arena tournament. His motives are to gain the crowd's favor and to win the people over so that he can overthrow the dictators that are in control. As you get farther and farther in the game and attain more and more fans, you're eventually hailed as the Champion of the Creed Arena--once you have beaten the game our hero announces to his sister that he has won the people and the time for revolution has come. Outside of this snippet of story there really isn't any reinforcement to a main quest or goal other than completing the set Challenges and accumulating more and more fans and supporters. This is one of the types of games that doesn't require an expansive story-line to be fun and awesome, however. These shooter games are mostly about the deathmatches and insane chaotic action not the intricate and complex machinations of a deep storyline--we save those things for RPG's. Play as the Wildcat and climb to glory by defeating enemies in the various game types in the various modes like Solo and Co-Op Tournaments--annihilate all the rival gladiator teams to win the tournament and become the Champion! There are a few unique features that Creed Arena possesses that aren't found in any other game of it's type--the Crowd Rage mechanic, for instance. Crowd Rage is what allows players to kill and kill--and then kill some more. To unlock this frenzied state you must gain Fans by killing enemies in creative ways--the more creative the kill, the more Fans you'll get. Multi-kills, huge damage shots, and even melee hits can gain massive amounts of fans to build your Rage meter. Once under Crowd Rage, you do more damage, jump higher, move faster--basically you're enhanced in every way to become a nearly unstoppable juggernaut of death. This game is also one of the first games to have a two-person view that incoporates both a top-view and a third-person view. Both views provide a dynamic way to play the game, however the top-view is quite challenging and is recommended for experienced players. Bots are another feature that adds a new level of gameplay, as you can practice and get better by playing against them. The game also has seventeen expansive maps each tailored to a specific gametype. 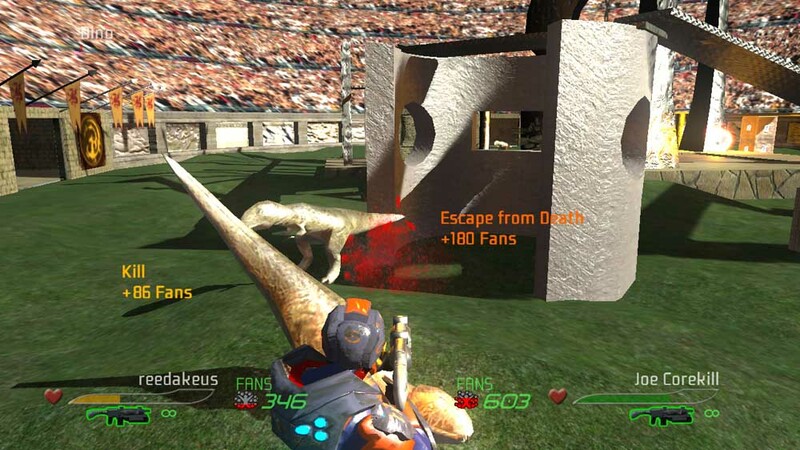 Deathmatch- The standard fragfest that inspired all classic shooters out there. Can be played in either Teams or 1 on 1. Survival - This gametype pits you against a swarm of enemies that spawn in waves. 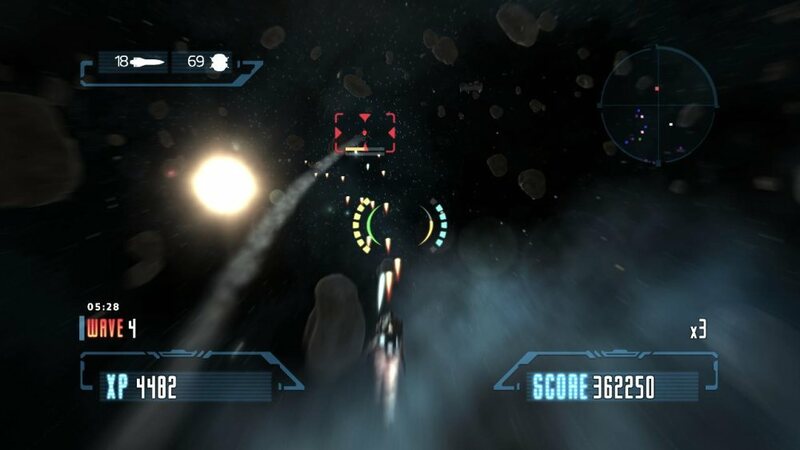 Loosely similar to Firefight in Halo ODST in dynamics. Can be played in solo or teams. Collect the Kegs - Self-explanitory--the team must collect a set amount of Kegs into their zone. Kegs can be taken out of a team's zone at any time. Kills are the way to keep a team from scoring--usually 3-5 kegs collected to win. Only playable in teams. Popularity - Gametype that involves gaining fans by getting kills against enemies. Get a set amount of fans to win--either in teams or competitive. There is also another gametype called "Hunting", yet it only has one Challenge. Hunting is based on killing a certain amount of creatures (usually the raptors) before your teammate. Every gametype is entertaining and fun, and Collect the Kegs can get pretty crazy especially if it's the 3 teams of 2 Challenge. My personal favorite though is Deathmatch--simple killing is always the best. It's easy to see why Creed Arena is a great Indie Game, especially in the shooter genre. The game itself has many unique features and gametypes to keep even the most dedicated of gamers entertained. This fantastic gladiator battle will go on and on over Xbox Live and will give players all around the world the opportunity to rise to the top of the global scoreboards. Combined with all the features, the amazing 3D environments and character graphics, and with the amazing replayability that's guaranteed with Solo, Co-op, and Live gameplay, Creed Arena is a steal at a mere 240 MSP. This game is truly a gem in the XBLIG Marketplace and is a quality fragfest that everyone can enjoy. The website itself features a contact page where you can speak to the developers themselves, along with screenshots of the game and a link to the official Xbox Live Indie Games Marketplace page where you can download the Free Trial or Full Game for Creed Arena. Well that's about it! I'd further like to thank Safari Studios for developing this awesome game and redefining the entire shooter genre on XBL Indie Games. This game is fantastic and higly rating for all fans of shooter games--it's sure to please! In this installment of XBL Indieverse Reviews I'll be focusing on one of my favorite XBLIG RPG's "The Endless Abyss". This game was also made by Rickettz Studios, the development team behind another awesome Xbox Indie RPG called Star Cross. 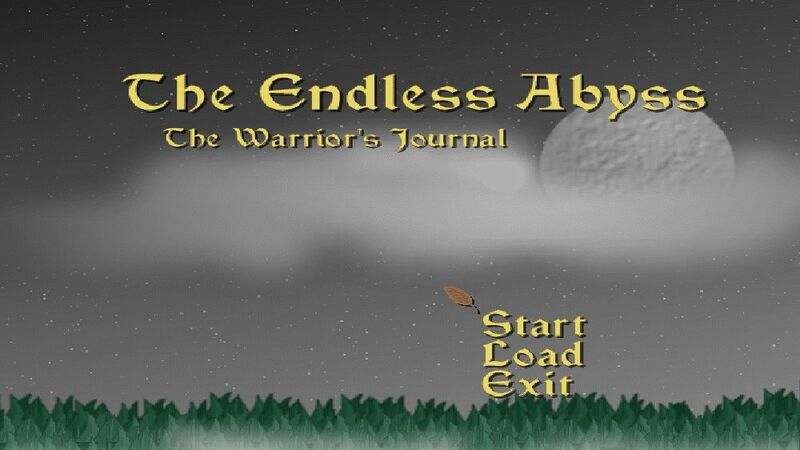 "The Endless Abyss, a tale of one warrior and an entire world to explore and defend. In this Action Role Playing Game adventure, take on beasts, wizards and bandits as the player traverses all four corners of the land known as the continent. Utilize swords, spells, bows and quick fingers to stay alive and beat the enemy to dust." Highly Recommended for all fans of the classic Zelda series! The Endless Abyss is one of the personally highest recommended Xbox Live Indie Games on the market, especially for RPG-lovers and those that enjoy low-res adventure gaming. This game is also an XBLIG's SELECT choice because of it's highly entertaining gameplay and its impressive game mechanics as well as many other features. Games with the official "XBL Indieverse SELECT" seal are selections made by me, tailored to gamers with similar tastes in gaming. This game is truly an underrated gem in the sparse RPG marketplace. All games with the official seal are rated 5-Stars and are the quality games that are worth playing and buying--keep in mind that these are personal reviews and opinions, and if you don't share the same tastes you'll want to Try Before You Buy. The Endless Abyss is a classic RPG adventure set in medieval times--the times of magic and powerful ancient relics. The story is quite cryptic at first, and it's mystery builds the suspense and inspires players to continue onwards. With a continent full of NPC's, castles, kingdoms, and areas to explore, The Endless Abyss provides hours worth of entertainment for all gamers alike. What makes this game an instant classic is how it's set up--the overall game mechanics, such as fighting, are different from the traditional turn-based combat we've come to expect from RPG's: instead this game utilizes an active fighting system that allows players to strategically fight monsters from afar or move in close for the killing blow. Players will enjoy both the Magick and the Melee fighting, along with the smattering of weapons and items that are awaiting to be found in the expansive continent. Magick, even at low levels, is incredibly useful, and both Health and Soul (which is basically like MP) rely on respective "leafs" that have three grades of quality--Leaf, Root, and Extract. There are destructive Magick spells and healing spells as well, and the spells are your basic elemental spells--there are four different grades of Magick that unlock after certain levels, and mostly these spells are unique in their ability. Another very unique element of this game is the Stamina bar, which is affected by every single swing of the sword/pull of the bow. There is no way to run in this game--be assured, if there were, that your Stamina would drain way too fast and it'd leave you defenseless during battle. When your Stamina is fully drained, you cannot strike--but you can still move to run around. This game reflects Angel of Osmond's original flair for gaming in many aspects, especially in the story-line and overall game system. If you've played his previous RPG Star Cross, then this game will seem quite faimiliar to you even though SC was a turn-based futuristic RPG and TEA is a medieval hero's journey. The weapons of TEA are focused on Bows, Swords, and Tomes--tomes being quite useful for Mage characters. A character can hold two weapons at one time, in any combination. Later on, when you start to earn middle to top tier weapons, these combinations can be incredibly strategic. 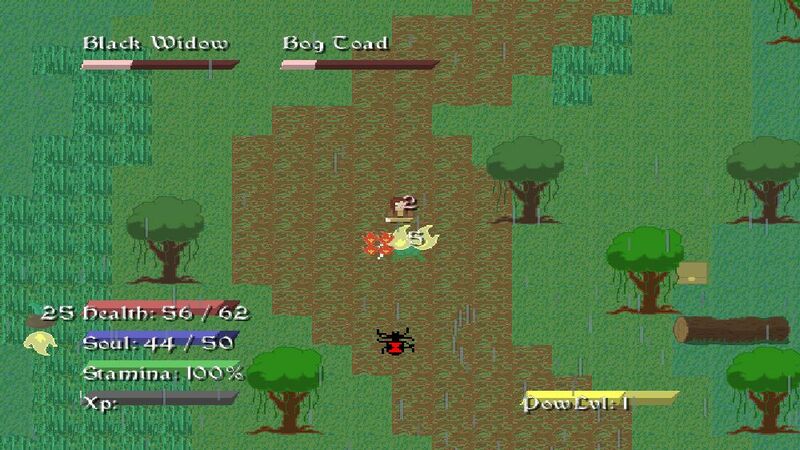 Bows at first only stun enemies and creatures with every five shots and don't actually do damage, but in the middle of the game you can earn the Raven Bow, which does an amazing 2 damage plus stun attacks. The Swords in TEA are the most powerful melee weapons, and the top-tier sword, the Onyx Blade, does an incredible 3 dmg per swing. Swords are balanced in that the higher the damage is the more Stamina that is used per strike. Tomes add Soul points to a character, and equipping two of these adds a considerable amount of Soul points. There are about four or five weapons of each type in the game. "The power button only makes your next physical attack more powerful. While in power mode, you also take half damage from all attacks. In the case of 1 damage, you take 0. As well, the power mode ends when either you make a physical attack or the gauge runs out. These two traits (powerful attack and damage reduction) make it useful for either a mage or warrior." Correctly using your power meter can mean the difference between life and death in some boss battles as well as areas that overwhelm the player with monsters. The game has fair progression so you won't have to necessarily grind XP for hours to attain the strength needed to get past the bosses, however you'll still want to level up in a consistent manner as you gain more Magick spells with higher levels. TEA has an incredible story line. At first we know next to nothing about anything--the world around us, our character, etc. As we progress we learn that our King, Osmond, has ordered our hero to find three relics that are needed to "help keep peace throughout the kingdom". Our hero crosses mountains, forests and deserts in search of these ancient relics, and once they are found we learn that things are not what they seem. These supposed poweful artifacts have caused nothing but turmoil and suffering for those that have held them. Some even say that they are cursed. Our hero must fight evil beyond the simple creatures and bandits that roam the continent--he must face the evil witch-sorceress and prevent King Osmond from inadverdantly opening a gateway to The Endless Abyss. There are many boss battles in this game, especially at the end where the epic struggle between good and evil is concluded. Will the dark lord Isaac walk the mortal realm again, or will you keep him imprisoned in the void? TEA has a slew of unique features from the interesting story dynamics to the expansive combat system and magick structure. Quests in TEA are the standard "King orders hero to this location, hero must find item, hero then returns item" formula, yet there are other side-quests to fulfill as well. One main side-quest is the Adventurer's Guild, and it is only through this Guild that you can earn the most powerful top-tier weapons. The questing is well worth the meticulous collecting of items--that's right, every "quest" in the Adventurer's Guild is a simple "collect this item" task. Sometimes you'll have to spend quite a bit finding certain items, however the drops are plausible--you won't have a Spider drop a Claw, since spiders don't have claws--Foxes drop claws, etc. Items can be found in chests, from monster drops, or bought in general stores--all item drops, including chests, are random. You can save at any time in this game, but fast-travel is not an option--you must find the Globe that brings you to the Global Map. There is no mini-map, yet the Global Map is sufficient to show the various villages and kingdoms throughout the land. Overall, TEA is an excellent addition to your RPG Indie Game collection. The only bad thing about the game itself is that it has no re-play value--there is no New Game+ feature, so once you beat it you're pretty much done with it (unless you're me and want to see how high the level cap goes XD). However that's not to say that the experience up until that point won't be filled with entertaining battles and interesting story line lore. TEA is an awesome homage to all the old classic RPG's that we've played in our youth, and I'm proud to rate it 5 Stars. Be sure to follow me on Twitter (@Mr_Deeke) for updates on news, trailers, and reviews for upcoming Rickettz Studios titles! That's it for now! Happy gaming and I hope all of you enjoy TEA as much as I did--at 80 MSP it's hardly something you could regret. Below is a link to the Free Trial for TEA. This installment of XBL Indieverse New Releases will be a multiple grouping of various newly published Indie Games from January 18th to the 21st. Over the past two weeks there have been a number of new Indie Games introduced to the Xbox Live Marketplace, however I'll be focusing on those that are among the best--at least in my opinion. Below are miniature reviews of these titles along with information and links. 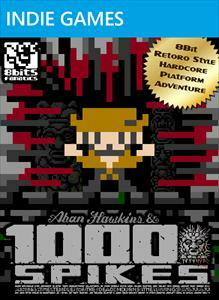 "Aban Hawkins & the 1000 SPIKES" is an 8-bit retro style Hardest Extremest Craziest Platform Action Puzzle Adventure. Simple & intuitive rules. Elaborate level design. Various fierce traps, traps, traps! Return to the Golden Years of Video Game. No one can BEAT this game...except YOU!!" This game is a must-have for all Platformer fans out there--especially those that enjoy the classic elements that go into the old games that we spent our youth playing in quarter-slot arcade machines. 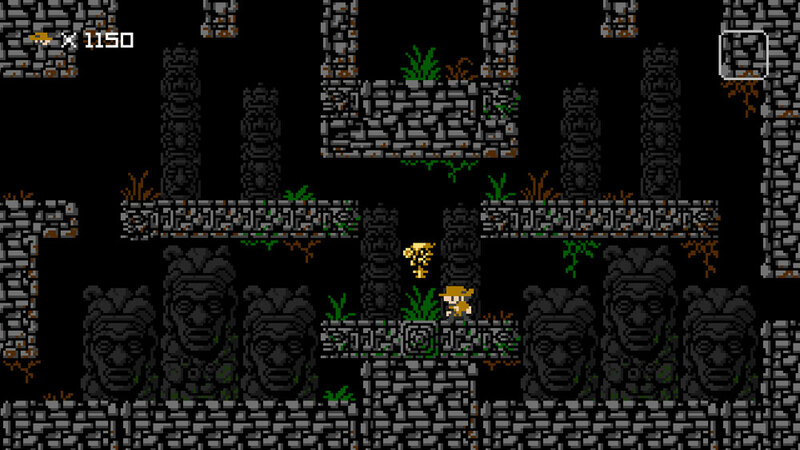 The overall look of it is Indiana Jones crossed with Super Mario Bros. further spliced with the original Pitfall--and believe me, that's a compliment. 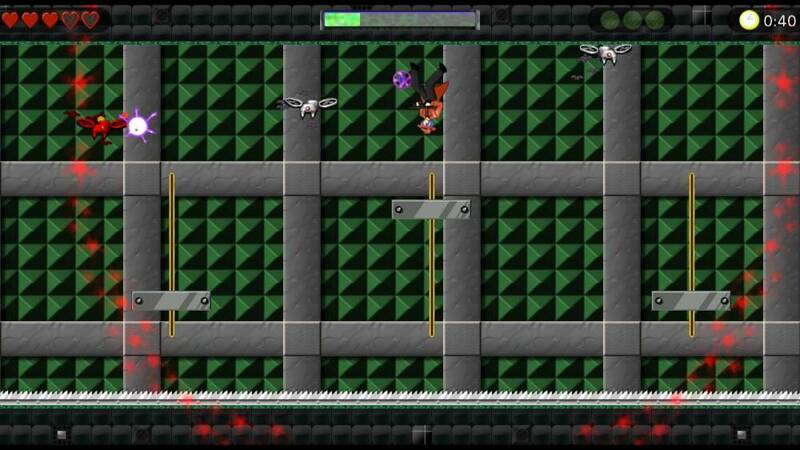 The general object of the game is simple--to get past various obstacles and to avoid the deadly blood-covered spikes. Failure is part of the game, and get used to dying--with a gigantic pool of a thousand plus lives, you'll have to devote a few dozen of them to experimenting in how to complete the goal, sometimes having to do tedious trial and error sessions. 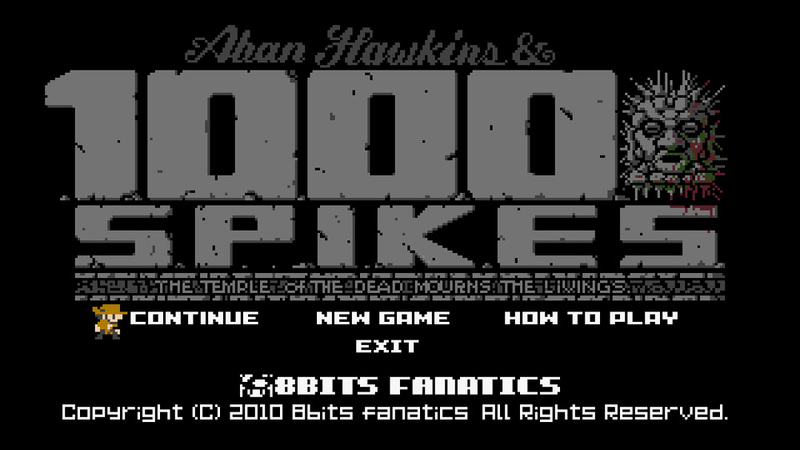 Aban Hawkins' is also part puzzler, as to complete the goal, you'll have to think outside the box to get past obstacles and such--don't worry though, at it's heart this game is a platformer through and through. What makes this game unique is that you use what appears to be throwing knives to attack foes, and that there are multiple dynamics to jumping--high jumps and normal jumps, etc. Another awesome unique feature is the ability to save your game progress at any time, unlike the early game systems that would lose all that precious gameplay time once the console was turned off. Kill foes, move blocks, cross obstacles and jump across chasms in this exciting Platformer that will easily entertain all gamers. 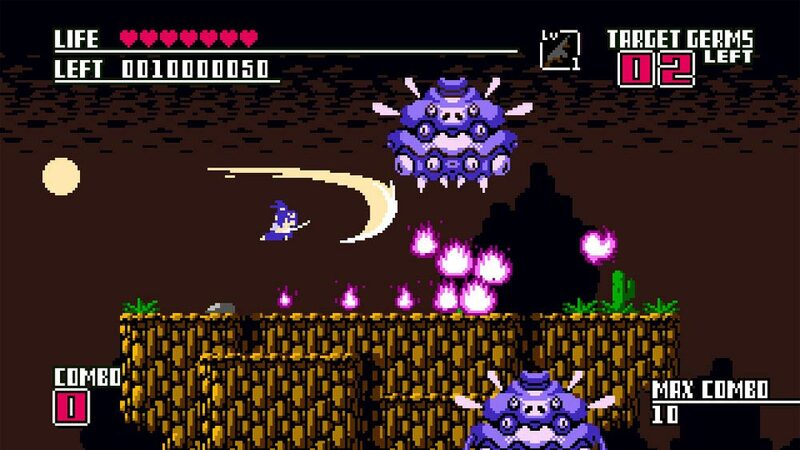 You might noticed that the developer of this game, JPN 8bits fanatic, is the same Indie Game Developer that brought us The Tempura Of The Dead--another classically-themed RPG/Platformer hybrid--think the old Shinobi game for NES but only being able to select two characters instead of just the ninja. It is highly recommended to check out Tempura if you enjoy Aban Hawkins, especially if you're a die-hard Platformer fan. Tempura has a slightly steep price of 240 MSP, but Aban Hawkins is only 80 MSP--worth every cent, too. Tempura will be your better choice, however, if you are a veteran of 8-bit gaming and enjoy fun games that can be replayed without boredom. Remember to try before you buy--as with every game featured on the Xbox Live Marketplace, there are Trial Games and Demos so you can see if you'd enjoy the game before you buy. "You're just after the pure action? 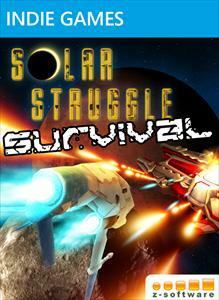 Solar Struggle: Survival throws you in the midst of a whole lot of enemies! Will you keep up till the end, beating wave after wave of enemies?" Z Software, the very same game studio that brought us the first iteration of Solar Struggle, now brings us the next chapter in the series--Solar Struggle: Survival. Normally I don't give 5-star ratings to any other genre than RPGs, but this game has to be the best sci-fi space shooter I've ever played--especially in the Indie Games section. What makes Solar Struggle: Survival so awesome is the overall game flow--it has a natural feel to it that allows for streamlined gameplay and is incredibly addictive once you get the hang of it. Fly through space and destroy the endless hoardes of space marauders who want one thing--to kill you. Destroy them with lock-on missiles or steady your hand and take aim with the pulse lasers, and pay attention to the internal radar map that displays all craft nearby. The dynamic HUD is incredibly responsive and even shows you what direction you're being engaged from as well as cool-down bars on the side of the crosshairs to let you know when you can fire a missle or laser once more. Perhaps the most interesting feature of this game is the XP leveling system--once you get a certain amount of XP you level up, just like in any RPG game--and you get better powerups and equipment such as more powerful lasers, a higher quantity of missles, etc. You can also string kills together in combinations to earn more XP and Score. 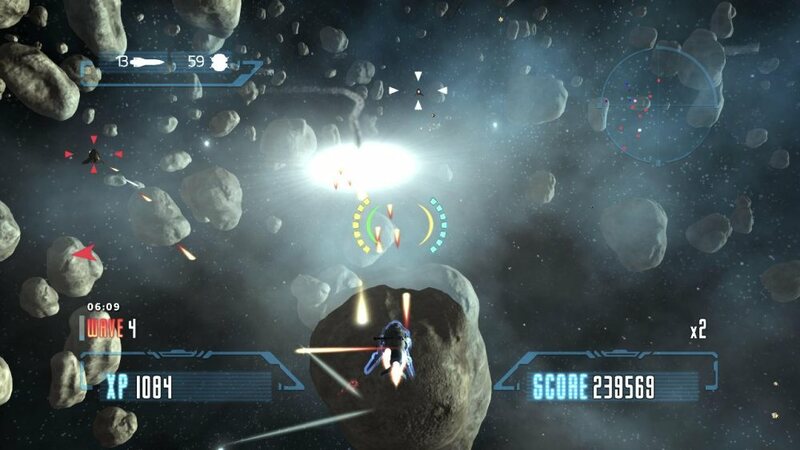 At its core this game is similar to any space shooter, however it is the responsive HUD and scoring system that provide for an addictive and highly enjoyable shooter. 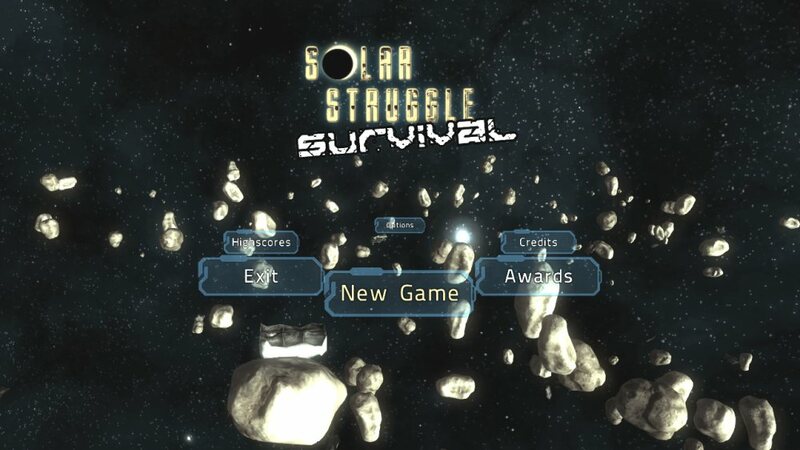 Solar Struggle: Survival offers many game maps and scenarios, but its basically a dogfight in space between you and the evil marauders that want to kill you. This game also provides incentives by playing in certain ways, improving styles and completing goals to unlock awards--these awards further offer more powerful lasers and such, upgrades and powerups to the ship itself. With the award function, the game becomes much more enjoyable when you're re-playing it. 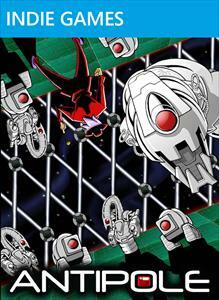 "Wield your powers of gravity manipulation to fend off a robot invasion. Perform impossible jumps, destroy enemies, and solve puzzles by bending gravity. Explore 20 challenging levels, 2 difficulty settings, and bonus unlockable content." 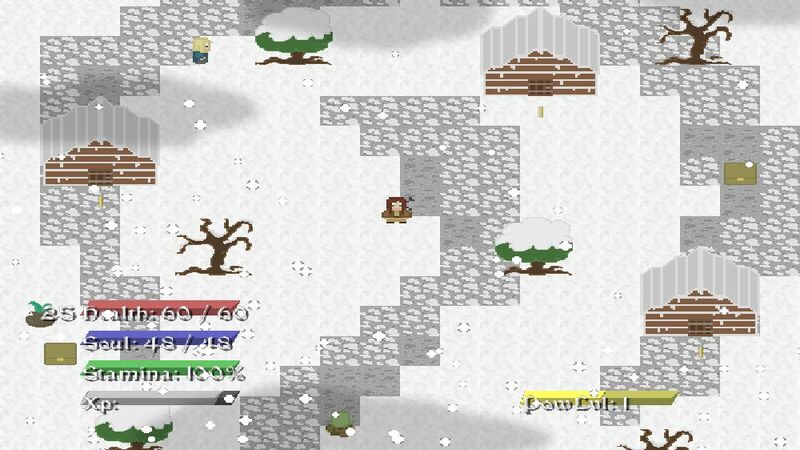 Saturine Games LLC is quite an interesting Indie Game Developer studio--it has created a title on not only XBL Indie Games but on Nintendo DSiWare as well, making them a cross-over studio that focuses on more than one Indie gameset. 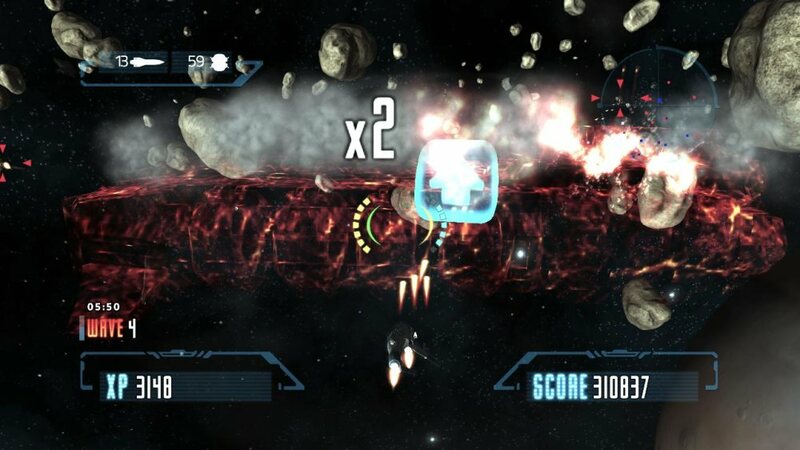 Their DSiWare game, Cosmos X-2, is a space-age shooter that incorporates first person views as well as a third person shoot-em-up adventure--this game is quite different than their XBL release, however. Saturine Games has also announced another upcoming title to be released on the XBL Indie Games Marketplace: it's dubbed as "Turtle Tale" and has only been announced through a promotional game cover--no details were released yet on this future project. 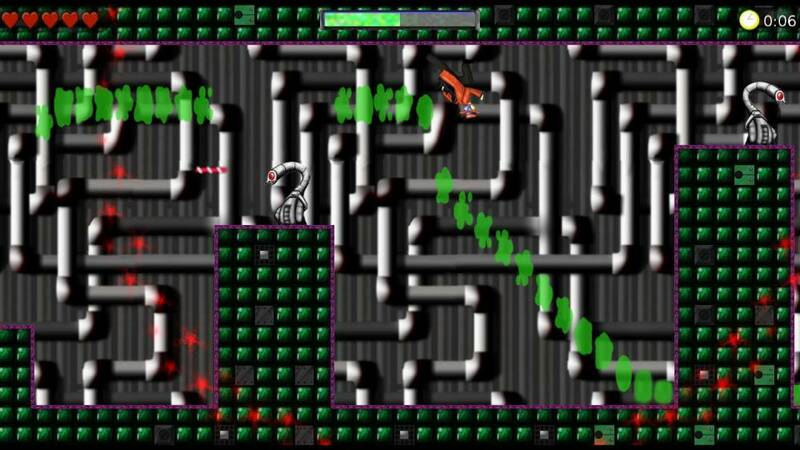 Antipole, Saturine Games LLC's first Platformer, is quite inventive and unique as it incorporates gravity transversal which allows players to think outside the box to progress onwards throughout the game. Conventionally, platformers are side-scrollers that have one main objective: to get to the next level or stage. To do that, however, is the challenge--many foes lie await in your way along with deadly obstacles and lethal drops. Players must jump, evade, kill and most importantly, plan their attempts or failure is guaranteed. 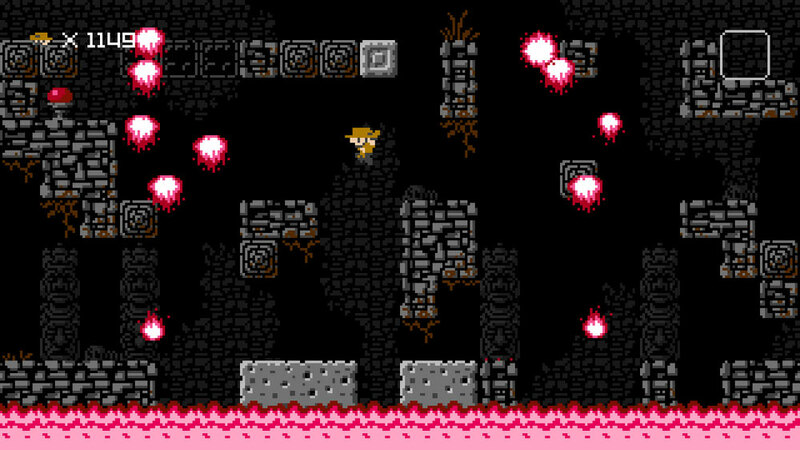 Antipole takes a conventional Platformer and flips it over on it's head--literally. By giving gamers the ability to use ceilings to get powerups and to progress onwards throughout levels, Antipole has earned a passage in one of the most original platformers I've ever seen in an Indie Game. I can't help but to be reminded of Castlevania's Symphony of the Night, especially when the entire game map is inverted and turned upside down--Antipole further challenges gamers to think differently and abstractly all while enjoying all the themes and elements you'd come to expect from any platformer game. This sci-fi side-scroller has a loose storyline that progresses as you get farther and farther throughout the game, but the mechanics and overall goal are the same--kill foes, get past obstacles, get to the next stage. Antipole also has great color composition and style--the menus are amazing and the characters, meters, power ups, and tokens are animated very well. Another unique element of this game is its unlockables--usually most games use this as an incentive to buy the game, however Antipole offers a slew of "awardments" that can unlock in-game content as well as power-ups for your character. We've seen this same concept take place in many Indie Games, and to me, it's a unique and fun replacement for Achievements and Awards found in retail Xbox Live Arcade and retail Xbox 360 games. It is highly reccommended to all those that enjoy minor puzzler/unique Platformers, especially futuristically-themed ones. Try the Trial Game for free--I've played it many times over now, as its a great game to blow off some steam and have fun by flying up onto the ceiling--if you're skeptical, yet I find myself as a gamer who enjoys RPGs and not Platformers yet I had quite an enjoyable time with this game. "Driven mad after losing his farm to foreclosure, local turkey farmer J. Snydles plots his revenge on an unsuspecting town. Using steroids, toxic waste, and a small amount of energy drink, Snydles concocts a brew that turns his turkeys into mindless minions. On the brink of panic, returning war hero Bret Star must save his town before it's too late. 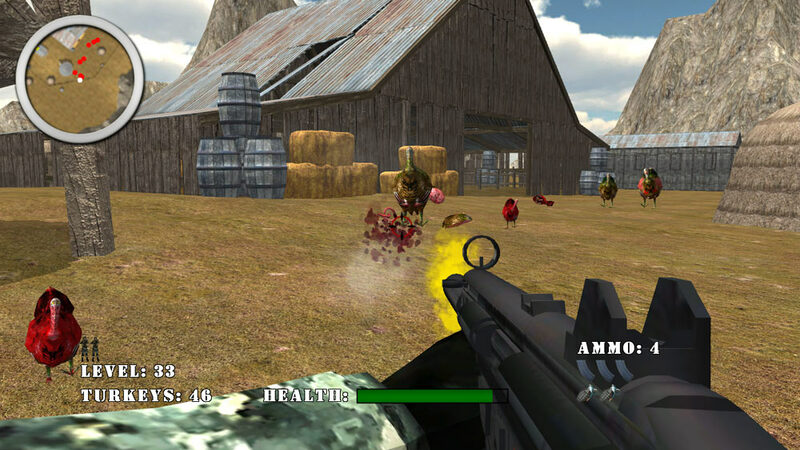 Zombie Turkeys Must Die!!" This game is a gem for all of those that enjoy FPS games--big or small. 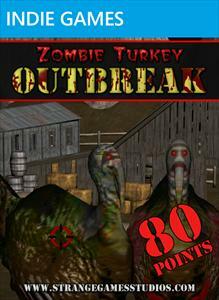 It's similar in style and function to Wasteland 2033, yet the graphics in Zombie Turkey Outbreak are superior. 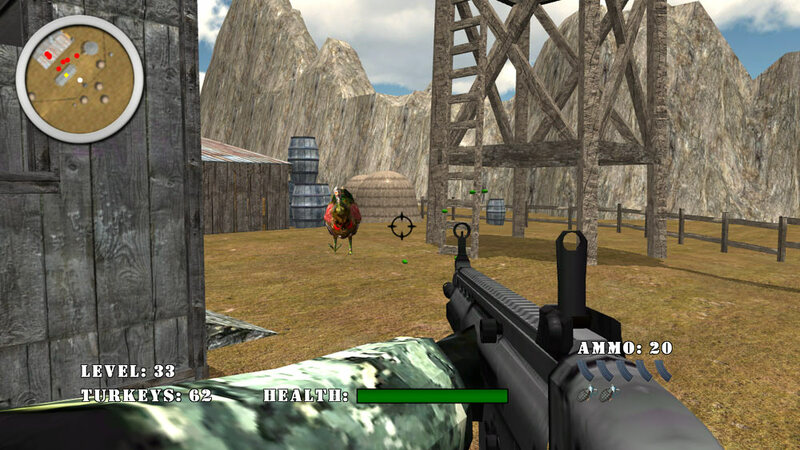 The guns look like they're straight out of Modern Warfare and it imbibes a sense of superiority...until you're overrun by a trampling onslaught of Zombie Turkeys, that is. 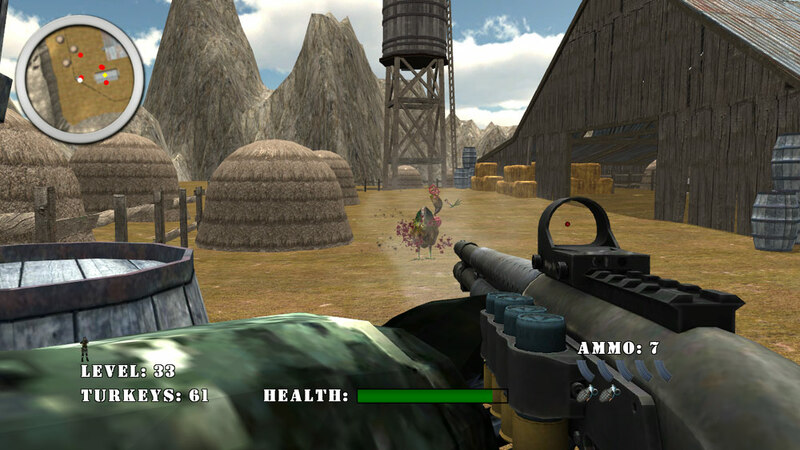 The game's HUD is pretty basic yet it is very useful--the tactical map for instance is quite dynamic--showing layers, enemies, and the player's location as well as powerups, health, and ammunition for various weapons. The weapons are something akin to Modern Warfare as the pistol has infinite ammunition but is less powerful--each gun is quite balanced in every way and the crosshairs are very accurate. ZTO is definitely worth the very cheap price tag attached to it--80 MSP is quite the steal for a game like this. Sure it gets old if you're trying to play it seriously, but it is good to get away from a frustrating part in another game--mindless turkey killing is great for everyone. The game is basically a survivalist FPS that gets harder and harder as the game progresses--eventually being quite overwhelming unless you have the right weaponry. 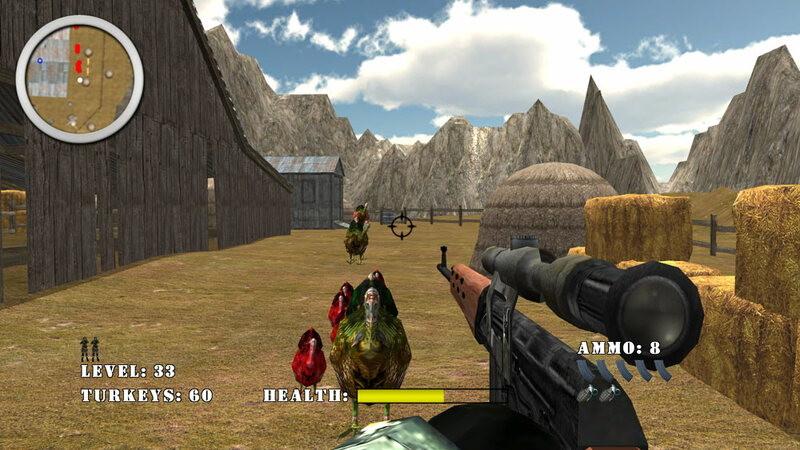 With an interactive enemy count on the HUD, you can hunt down those stray turkeys or let them wander and collect ammunition/health powerups before the next round begins. Overall, this game is a must-have for a FPS lover, and is a great buy for even someone that has a passing interest in them. Well, that about wraps it up; another few weeks and there will be even more releases in the Indie Games Marketplace. I'm looking forward to Star Cross II and the new upcoming title from TnT Gaming set in the Trinity Wars universe, yet these games in this article offer a good time-churner until those games come out. Featured on XBL Indieverse Preview is the futuristic RPG saga Star Cross II, the next exciting title in the sci-fi universe of Star Cross. Officially announced by Indie Game Developer Angel of Osmond at Rickettz Studios earlier this month, SCII is in early dev stages right now. This sequel to the futuristic planet-crossing adventure looks to be very promising with new features, skills, characters and new worlds to explore. Overall, Star Cross II is the first game with many improvements and a new set of characters--yet the game stays the same at its core; it's a turn-based RPG that can literally last for hours. The game is still in development and is a long ways away from Peer Review status--Angel of Osmond is currently working on two other titles--Sol Intelligence and Arc Lancer (the sequel to Nova Lancer)--so the game may not come out for a few months or so. When new information is available I'll post it on my Tweets and in an article on my Blog. 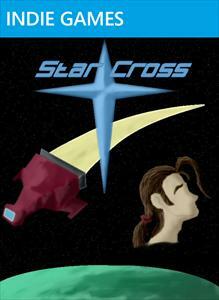 Try the Free Demo for the original Star Cross! Those that are interested should be sure to Subscribe to AngelofOsmond's YouTube Channel for more trailers and updates about this and other exciting game titles from Rickettz Studios!